Arviointien yhteinen keskiarvo - Pohjautuu 212 arviointiin. 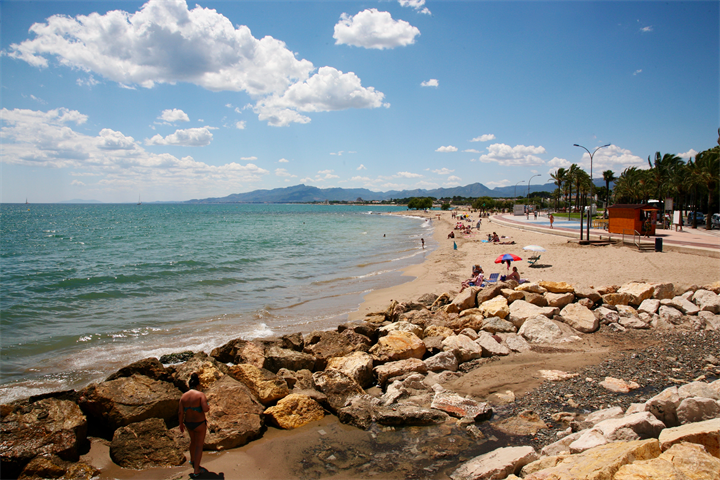 Cambrils is located on Spain's Costa Dorada (Golden Coast) in the region of Catalonia. A seafaring village, the local life mainly revolves around the harbour. The area attracts visitors for its golden, sandy beaches, the abundance of fabulous seafood restaurants and its close proximity to the Universal Studios Port Aventura theme park. 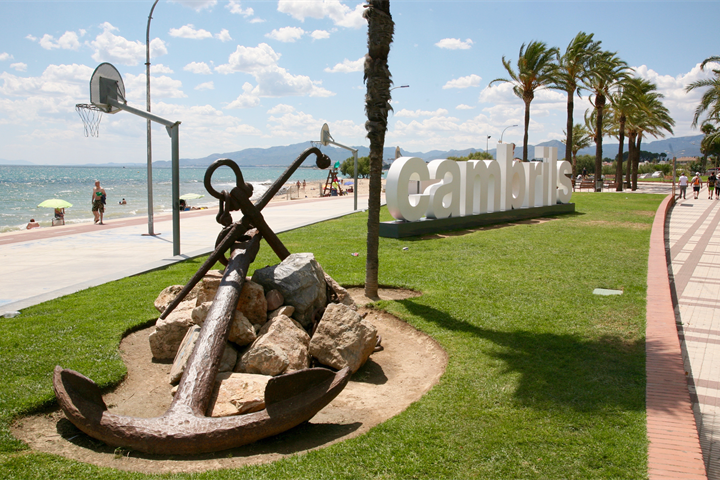 Cambrils is easy to reach from the international airports of Reus, just 12 km away and Barcelona about a one hour drive away. The town has an area of detached houses sheltering below a castle, the old fortress of the Baron of Vilafortuny. Located by the sea there is a signal tower, known as the Telégrafo de l’Esquirol, which in times gone by was used to establish communication with other parts of the coast by means of flags and lights. From the harbour, a path follows the Garbí watercourse and leads inland into the town. It is worth visiting the sanctuary of El Camí, with its crypt and an adjoining watchtower. 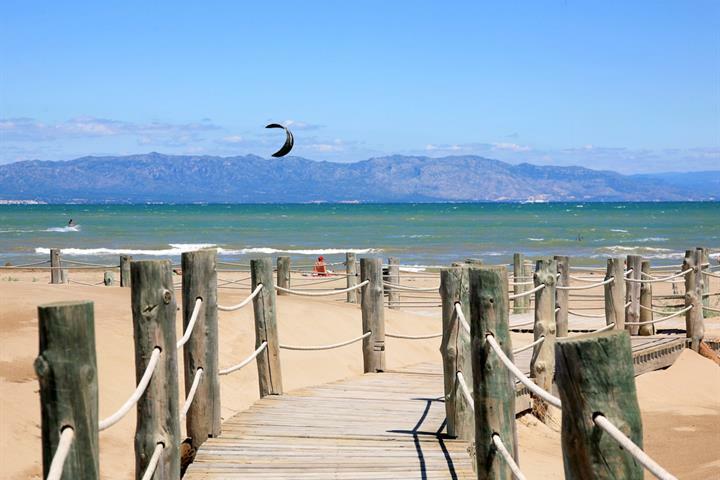 The beachs of Cambrils are characterised by a fine golden sand and shallow sea, the perfect combination, which sets these beaches apart from others. They are popular with both tourists and residents alike, as there are also many facilities such as water sports, sunbed hire, showers, first aid, restaurants, kiosks and bars. The popular Port Aventura theme park is located between Salou and Vila-seca, and is easily reached either by car or public transport. Besides the famous theme park, in the town of La Pineda, is the famous Water Park Aquopolis, which like Port Aventura, is easily accessible, with a variety of public transport links. Visitors can also enjoy activities such as horse riding, tennis, cycling, running and walking. 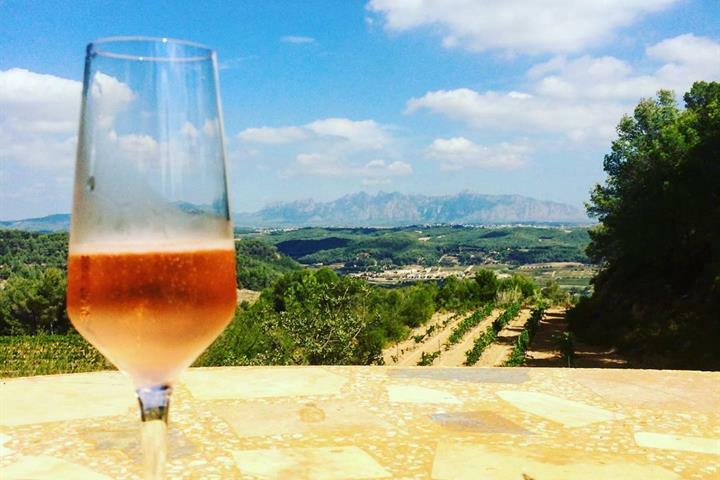 If you feel like a day’s excursion to discover further the region, then we recommend Salou, Tarragona, Reus, and Barcelona, all popular destinations within a comfortable visiting distance. 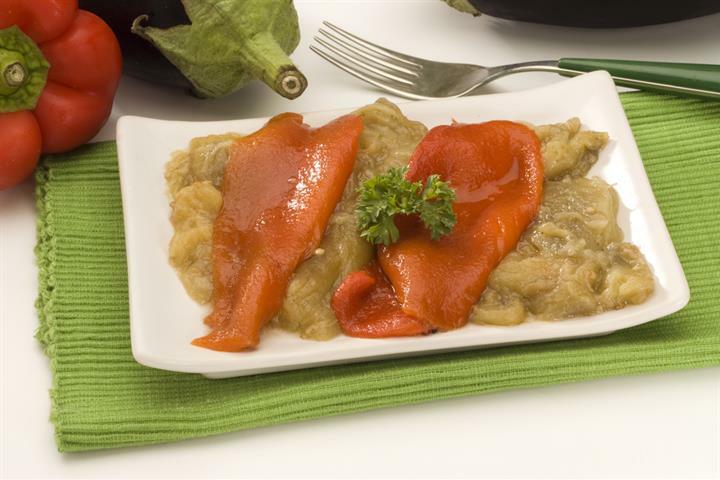 You can enjoy the various gastronomic festivals like ‘The killing of the pig’ in Montblanc, the ‘Xatonada’ in Vendrell or the famous ‘Calçotades’, amongst other culinary festivities. The most famous dish is ‘Romesco’. a type of tomato and herb sauce with onion. Another speciality is rabbit with balls of cod, which is delicious. Local produce and seafood of the area, includes eels, frogs legs, duck dishes, paella, iod, olives, rice dishes, poultry, seafood rabbit, pigs trotters, cod stew with spinach and eggs, noodles, biscuits and sweets. Calçotada which is a dish comprising of barbequed shallots dipped in romesco sauce and served with grilled meats is a fabulous dish full of flavour. Cambrils is favoured by the typical Mediterranean climate, although the temperatures can be less favourable in the winter than other Spanish Costa destinations. Temperatures range between 10 degrees in the winter and 35 degrees during the summer months. The area enjoys sunny days all throughout the year. Katalonia on kuuluisa turkooseista rannoistaan, jylhistä vuoristaan ja värikkäästä kulttuuristaan. Löydä parhaat paikat lomailuun Kataloniassa. Löydä parhaat paikat missä yöpyä Costa Doradalla. Mukana paikkoja moneen makuun aina perhelomakohteista sykkiviin bilepaikkoihin. Costa Doradalta löytyy pitkä liuta Espanjan parhaimpia rantoja. Esittelyssä niistä parhaimmat. Suunnittele oma superlomasi Cambrilsissa nauttien Costa Doradan loistavista rannoista, taiteesta, hauskoista tapahtumista, urheilusta ja kulttuurista. Huvipuistohurvitteluja, ulkoilma-aktiviteetteja ja täyden palvelun rantoja. Niistä on Costa Doradan upea Cambrils tehty. Täydellinen kohde perheille! Costa Doradalla sijaitseva Cambrilsin lomakohde tarjoaa kutsuvia aurinkotuoleja, Välimeren huoletonta tunnelmaa ja hauskoja aktivitteja. Espanjan parhaimmat viinintuottajatilat sijaitsevat aivan Barcelonan lähellä. Lähde tutustumaan cavan kotikontuihin ja Katalonian upeaan maaseutuun! Haluatko maistaa jotain todella perinteistä Katalonian matkallasi Espanjassa? Esittelemme seuraavaksi 5 kokeilun arvoista katalonialaista herkkua. Liikenneyhteydet kunnossa. Pyörätiet rohkaisevat pyöräilemään. Rannat siistissä kunnossa. Lomakohteena erinomainen. Ainoana miinuksena alueella liikaa venäläisiä. Ville de Cambrils accessible en vélos ou en voitures. Centre ville très commercant, avec des zones piétonnes. Stationnement payant. 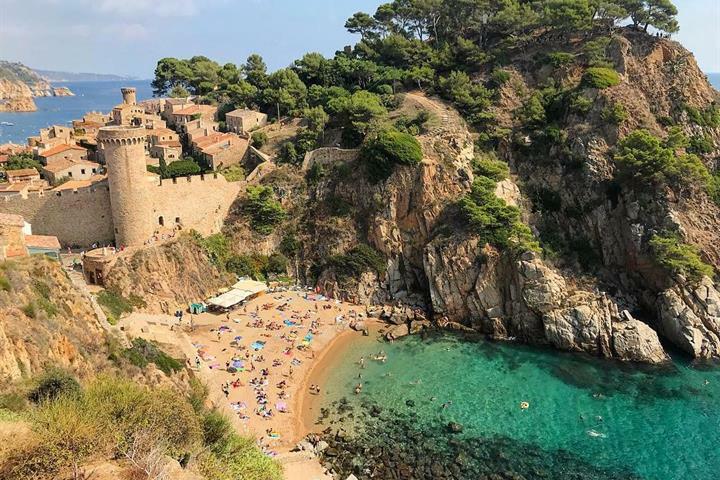 La Costa Dorada est une côte très agréable.